REDUCED! Enjoy Breathtaking Delta Waterfront Sunrises in this Newer Single-Story Gem with Favorable Eastern Exposure! Highly Desirable Miramar Estates Plan 3 with Over 3,000 sqft, 4 Bedrooms + 3.5 Bath + Office + Spacious 3 Car Garage! Great Room Concept with Newly Upgraded Heat-Generating Remote Controlled Fireplace Surrounded by Beautiful Stonework, Custom Tile Work Throughout, High Ceilings & Picturesque Windows Overlooking Panoramic Views of the Water! Gourmet Kitchen Boasts Stainless Steel Appliances, Wine Cooler, Granite Counters, Island w/Sink, Walk-In Pantry, Eat-Up Bar, Gas Range & Built-In Fridge! Gorgeous Master Suite (Split from Other Bedrooms) Offers Water Views, Sliders Out to Back Deck, Coffee Bar, Redone Custom Fireplace with Glass Stone, 2 Large Walk-In His/Hers Closets and Jetted Sunken Tub. 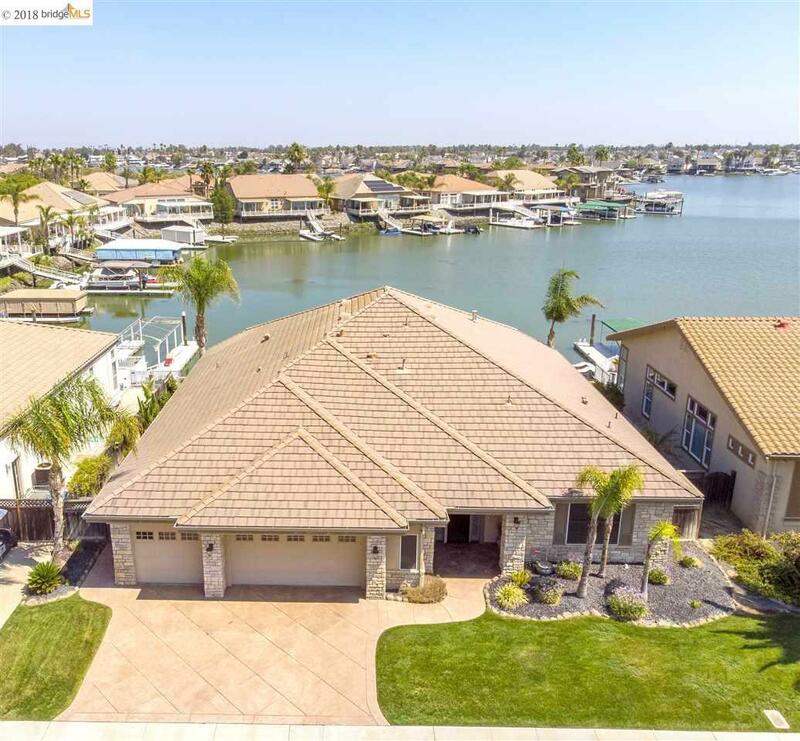 Outside Living Space Offers Stamped Concrete on Both Sides of Home, Spacious Rear Patio w/Brock Decking & Large U-Dock with Plenty of Water Frontage for All Your Watercraft Needs!